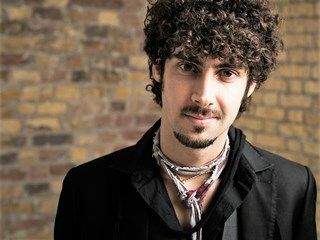 Federico Colli’s recital in the prestigious series Great Performers at Lincoln Center was advertised as his New York debut. It was, perhaps, his first performance at Lincoln Center but surely not his NY debut which took place some 5 and half years ago. A piano connoisseur friend of mine and myself attended that first recital, offered as a part of International Keyboard Institute and Festival (then still in the much missed Mannes College at West 85th Street), and both of us were also present at this Sunday morning recital by Mr. Colli. We remembered one specific situation from the real debut of Mr. Colli, as both of us were, so to speak, on the other side of the barricade when the pianist was at that time declared by many in the audience to be too controversial. I am mentioning that fact because this time around some five years later, we-the-witnesses came to the conclusion that those who criticized this wonderfully gifted and original Italian virtuoso back then were perhaps not wrong after all. All of his great qualities as a pianist and his sometimes contentious musical ideas were present in a suite of six keyboard sonatas by Domenico Scarlatti. In Europe, where I heard him play a couple of times in recent years, he is celebrated for performances of his countryman and one can see the reason for that. He has nearly total control of the sounds he desires to obtain from the concert grand piano. There is no attempt to pretend that it is a harpsichord, and the range of colors and dynamics is most impressive. So is the articulation, varied to the extreme and constantly oscillating between staccato, non-legato, full singing tone and everything in between, sometimes within a phrase. Very often the listener such as this one had the impression that those sonatas were transcriptions of lute compositions and played with a approach typical of that instrument: full of hesitations, variety of pulses, agogic changes of all sorts: all very impressive but not often convincing and compelling. One moment, we witnessed barely heard sounds, a moment later the piano roared in the manner of an old-fashioned transcription by Tausig or some other composer of the Romantic Era, the way Scarlatti might have been performed more than a century ago. To my ears, those interpolations were frankly jarring and borderline unsavory. Yet, there were as often some skillfully rolled chords as if taken from the harpsichord tradition, some stylish ornamentation and differentiated material used in the repeats, all very positive aspects of Mr. Colli’s artistry. I used the term “a suite of sonatas” because some of them were tied to each other for no particular reason. As for the wide amplitude of tempi adopted for some of the sonatas: if the opening one in F min K.19 sounded dirge-like, the final one in A Major K. 39 was taken at a blinding speed to demonstrate Mr. Colli’s enviable virtuosity. Was it even possible to play that fast on the instrument Scarlatti had at his disposal? Well, in Mr. Colli mind the answer must have been: who cares? His execution was indeed breathtaking, his trills precise and even, his assuredness awe-inspiring, his touch most delicate. So why my unvarying sense of want? In our time there have been many fabulous Scarlatti performers: some as Vladimir Horowitz were incredible colorists, others such as András Schiff – who in recent years regrettably abandoned this composer – brought a wonderful sense of style and touch and in some sonatas was able to even find jazzy rhythms (says Domenico: did I really write THIS??? ), another Italian Maria Tipo and the Russian Michail Pletnev. None of them approached the piano in a quaint manner; all of them used their instrument’s total resources. What set them apart from Mr. Colli was that their playing almost never sounded mannered. With our soloist, it was all about originality, about fussing, about wringing as many different approaches within one sonata as possible. In interpreting those miniatures, he seemed to have one desire: to put his stamp on everything and to leave no stone unturned. Impressive for sure, but still artificial. In a similar fashion did our pianist approach the Mozart Sonata in G major: that work also appeared in the program of his “real” debut recital at Mannes College, soon after Colli won the famed Leeds Competition, and I recall being much more impressed with his Mozart then. The salient features of his Mozart playing are precise articulation, a great clarity, elegantly sculpted, sharply etched lines and a prevailing sense of molding fine, delicate porcelain. There were frequent hesitations in phrasing, a little push and pull here and there which, in my opinion, robbed the work of simplicity: it all sounded more willful than natural. There were several questionable moments, when for example a simple dynamic mark in the score brought the phrase to a sudden stop. Whereas in the Scarlatti Sonatas, Colli on occasion embellished the repeats, here in Mozart, known to embellish his scores in such moments, Colli was chaste. To this listeners ears the prevailing feeling was that of fussiness, an absence of truly vocal lines (though he surely knows how to play legato! ), and again a lack of simplicity. To use a well-known expression, we saw the trees and missed the forest. Colli’s cool, impeccable approach worked best in the final sparkling Presto which was taken at maximum speed, yet lost nothing in clarity and precision and that was a truly formidable version of one of the most virtuosic finales in all of Mozart’s piano sonatas. I hesitate to apply to any musician the term “cold player/performer”, yet it seems to me that when one looks for something defined as “warmth” (a term hard to codify, yet one seems to know when one experiences it), one should perhaps not look for that feeling in Colli’s artistry. He is an aristocratic, patrician, supremely accomplished pianist with interesting ideas that just happen to not convince this listener all that often. There was only one encore, the famous transcription by Myra Hess of Bach Chorale Jesu, Joy of Men’s Desiring, again in a highly individual reading: pianistically wondrous, musically wanting.